A ballpen uses oil based ink. Ballpoint There are 262 products. The Lamy 2000 Stainless Steel Ballpoint will be a prized item in any pen collection. 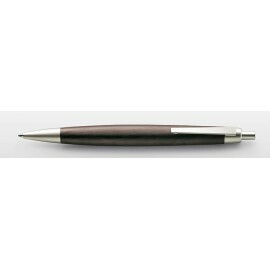 This ballpoint pen is skillfully crafted of stainless steel using complex and precise technical processes to ensure high quality. This pen is for those who like simplicity with their quality: the convenience of push-button retraction and a long-lasting ink refill. 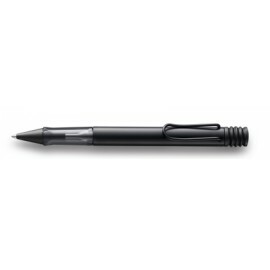 The Lamy Al-Star Shiraz ballpoint pen is an iconic form in anodised aluminium. With its form and styling modelled on studio, the AL-star is created with a tough, anodised aluminium barrel. 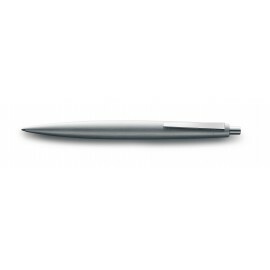 It extends the range and delivers a reliable, comfortable writing performance, with a lightweight, yet durable aluminium body and a comfortable, effortless grip. 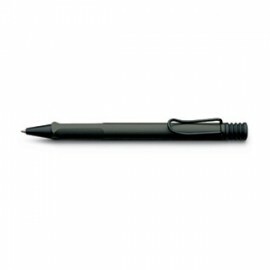 The Lamy AL-Star Black Ballpoint is the attractive, young writing instrument which satisfies even the highest requirements. With distinctive grip and spring-loaded metal clip. The Lamy Safari White Ballpoint is part of the Lamy Young Writing range and is revered for its reliability, unfaltering consistency and capacity for robust use. 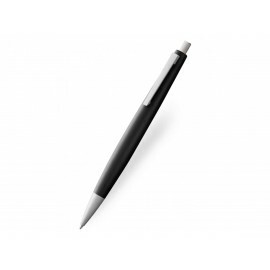 Designed by Wolfgang Fabian, the LAMY Safari White Ballpoint Pen is one of the most popular writing instruments. The Lamy Safari Yellow Ballpoint is part of the Lamy Young Writing range and is revered for its reliability, unfaltering consistency and capacity for robust use. Designed by Wolfgang Fabian, the LAMY Safari Yellow Ballpoint Pen is one of the most popular writing instruments. The Lamy Safari Red Ballpoint is part of the Lamy Young Writing range and is revered for its reliability, unfaltering consistency and capacity for robust use. Designed by Wolfgang Fabian, the LAMY Safari Red Ballpoint Pen is one of the most popular writing instruments. The Lamy Safari Shiny Black Ballpoint is part of the Lamy Young Writing range and is revered for its reliability, unfaltering consistency and capacity for robust use. Designed by Wolfgang Fabian, the LAMY Safari Shiny Black Ballpoint Pen is one of the most popular writing instruments.